Blackfriars Ironworks: Sandra's Elegant 'Toilet Roll Holder A' Mod. 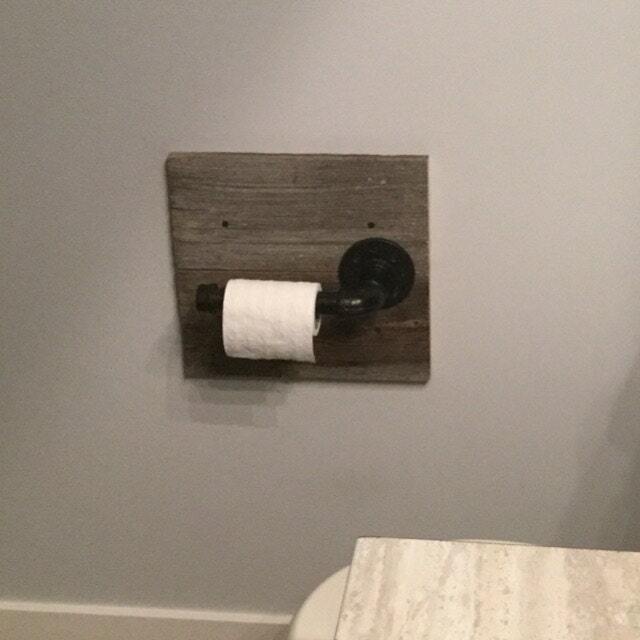 One of our very first customers, Sandra, sent me a picture showing our 'Toilet Roll Holder A' to great effect mounted on a square of reclaimed wood. I really like using the square shape. That wouldn't have occurred to me. Looks great!